Ingo Clemens, The brave rabbit has created his own tool for better managing Maya’s Scene Assembly, making it much more usable. Ingo offers to make the Scene Assembly Manager for Maya available to the public if there is interest (without support). Although Scene Assembly is a powerful tool, it is in need of a Scene Assembly Manager to help with setup and use. 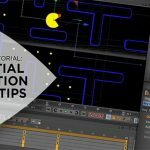 If you have ever used Maya’s Scene Assembly Tools and thought that it covered pretty much everything, then you may have been using them on a relatively small project. 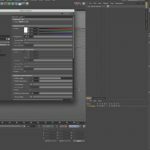 Maya’s Scene Assembly Tools came into the picture in the Maya 2013 extension release, created as a way to handle large scenes with large amounts of data and assets. Assembly Tools is actually a really powerful way to manage large scenes, however it is still quite young and there are some drawbacks to using it effectively. Scene Assembly can be cumbersome and time consuming to set up, and misses some of the tools needed to help setup scene assembly on a project basis. To some extent the Maya Bonus Tool “Assembly Manager” set out to close the gap and make setup easier, but still falls short, not taking things like rendering into account.